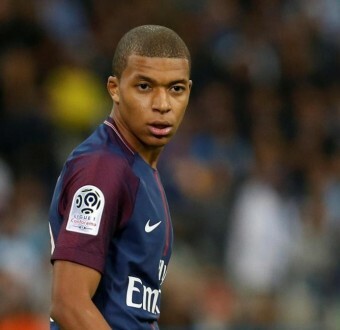 PSG’s Kylian Mbappe beats Gabriel Jesus and Ousmane Dembele to win Golden Boy Award – Royal Times of Nigeria. 18 year old PSG forward, Kylian Mbappe, today beat off competition from Man City’s Gabriel Jesus and Barcelona’s Ousmanne Dembele to win the highly coveted Golden Boy award. It is an award that is given by sports journalists to a young football player playing in Europe perceived to have been the most impressive during a calendar year (two halves to two separate seasons). All nominees must be under the age of 21 and play in a European nation’s top league. Last season Mbappe bagged 24 goals in all competitions.